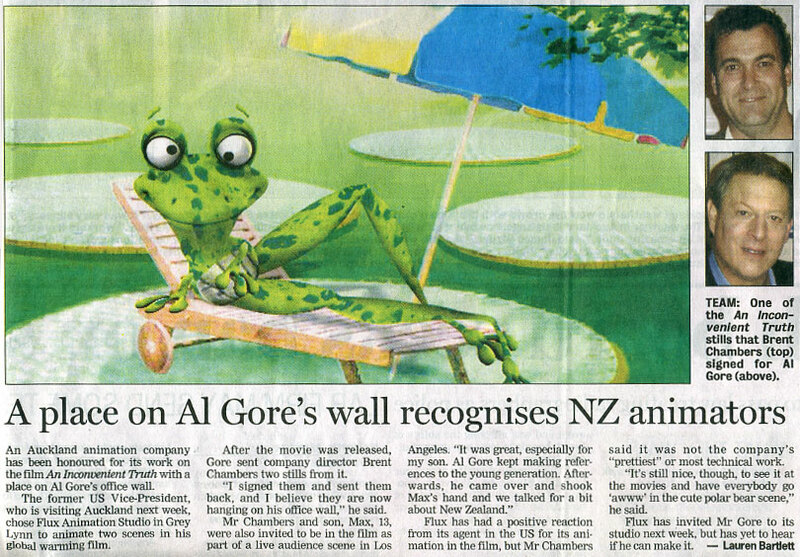 An Auckland animation company has been honoured for its work on the film An Inconvenient Truth with a place on Al Gore’s office wall. The former US Vice-President, who is visiting Auckland next week, chose Flux Animation Studio in Grey Lynn to animate two scenes in his global warming film. After the movie was released, Gore sent company director Brent Chambers two stills from it. “I signed them and sent them back, and I believe they are now hanging on his office wall,” he said. Flux has had a positive reaction from its agent in the US for its animation in the film, but Mr Chambers said it was not the company’s “prettiest” or most technical work. “It’s still nice, though, to see it at the movies and have everybody go ‘awww’ in the cute polar bear scene,” he said. 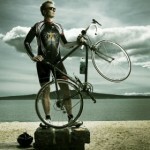 Flux has invited Mr Gore to its studio next week, but has yet to hear if he can make it.